carafem Is Hiring an Intern! About carafem: We are changing the environment of abortion care by making our services and information accessible, understandable, and supportive. Along with providing early-term, compassionate abortion care, we counsel on and provide a variety of birth control methods, and provide STI screening. We are unapologetic in the services we provide, and believe that high-quality, personal, and non-judgmental reproductive healthcare is the right of every human being. For more information, visit http://www.carafem.org/. Goals: The Outreach Intern will help build awareness of carafem and relationships with strategic partners and other health care providers in the DC metro area. Pay: Hourly pay of $13.50, to be invoiced and paid monthly. To apply: Please send cover letter and resume to [email protected] by September 30, 2018. 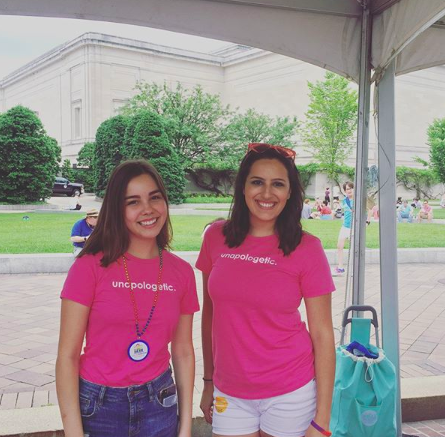 Summer 2018 carafem interns at Capital Pride.